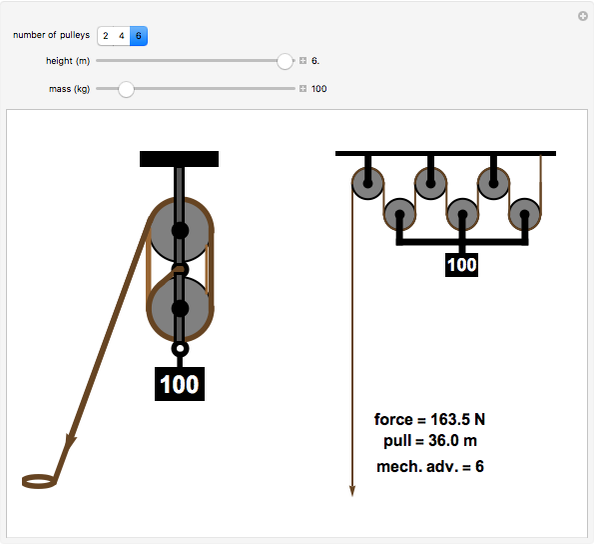 A block and tackle system consists of two or more pulleys threaded by ropes or cables, designed to gain mechanical advantage in lifting heavy loads. 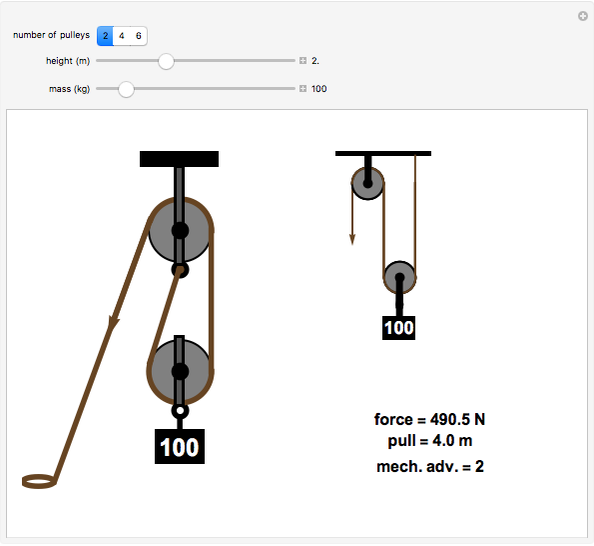 The principle of operation is easier to understand by showing the equivalent pulley system on the right side of the graphic. 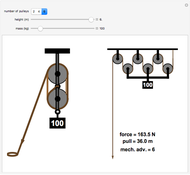 There the top and bottom units are, in concept, separated into individual pulleys. 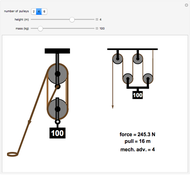 Directly lifting a mass would require a force , where . 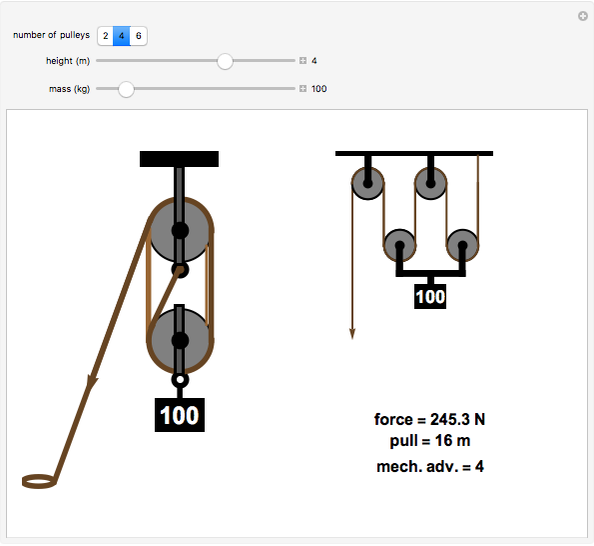 A system of pulleys distributes the weight to the assembly of cables. The tension in the cables, thus the force required to lift the weight, is reduced to , creating a mechanical advantage equal to . To compensate, the length of the pull to raise the weight to a given height is increased by a factor of . 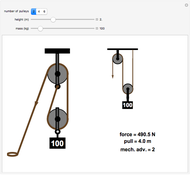 For more information, see the Wikipedia entry for Block and Tackle. S. M. Blinder "Block and Tackle"